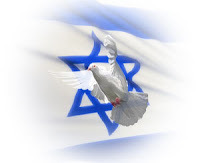 Learn Bible Prophecy: Is the Talk of a Peace Treaty With Israel a Sign of the End Times? 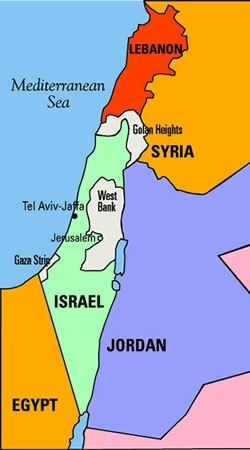 Is the Talk of a Peace Treaty With Israel a Sign of the End Times? QUESTION: The Bible clearly states that no man will know, not even Jesus, of His return. The Bible claims that a "peace treaty" will be signed by the antichrist and Israel. Lately we are seeing on CNN and other news stations of peace talks with Israel and Palestine. Is this another sign that we are near the rapture? ANSWER: You are right to always keep an eye on Israel for signs of the times. Many prophetic Bible passages point to that. The confirmation of a peace treaty would indicate we are that much closer. Keep in mind the Antichrist "confirms" a covenant with the people of Israel (Daniel 9:27). Thus, it may be that a peace treaty first exists and later he confirms it, rather than that he "makes" a covenant. I mention that because a peace treaty could be signed either before or after the Rapture and all of the prophetic events we are witnessing bring us all the more closer to the "time of the end". As witnessed in 1948, it is prophesied that Israel will again become a nation (Jeremiah 23:7-8). Also, as already happened in 1967, Jerusalem will be controlled by the Jewish people — which lays the groundwork for huge future prophetic events to happen. As we are witnessing today, the tiny nation of Israel will continue to be in the headlines. The land where Jerusalem exists will be of primary attention because that is where some day the Jewish Temple will be rebuilt. That must happen because scripture explains that one day the "abomination that causes desolation" will occur in the temple (Daniel 9:27, Matthew 24:15). Now learn this lesson from the fig tree: As soon as its twigs get tender and its leaves come out, you know that summer is near. Even so, when you see all these things, you know that it is near, right at the door. I tell you the truth, this generation will certainly not pass away until all these things have happened. The early Church understood the Rapture could happen at any moment, which further supports that the Pre-Trib Rapture Theory is correct. In fact, one of the primary reasons 2 Thessalonians was written was because some false teachers had told the Church in Thessalonia that they missed the Rapture. Paul, the writer of 2 Thessalonians, explained they did not miss it, and then goes on to explain the Antichrist (a key figure in end times events) would not be revealed until first a great rebellion happens (2 Thessalonians 2:3). Paul continues to explain that, "the one who now holds it back will continue to do so till he is taken out of the way." (2 Thessalonians 2:7) Many scholars believe that is referring to the Holy Spirit within the Church. Obviously that lends further support to a Pre-Trib Rapture. That really just touches the surface of the topic. A really good resource that helps described Bible prophecy is a book called, Pray That You May Escape.